Manziel to CFL - AROUND THE NFL - Go-Bengals.com - The Best Bengals Fan Community in the World! Its not uncommon for CFL teams to pick up the rights to American players "just in case" they become available to play up in the Great White North. These rights almost never get exercised, though there will always be an Andre Rison or Ricky Williams or Chad Ochocinco or Andrew Hawkins who heads up north to try to resurrect their careers. But 9 times out of 10 (hell, 99 out of 100) the CFL team who holds the rights to a specific NFL player almost never gets that player. But something weird is going on in Hamilton (ON). Collaros is expected to be franchise quarterback for the Roughriders, while the Tiger-Cats have been reported to be in negotiations with Manziel. Hamilton is also looking to re-sign starter LB Jeremiah Masoli, who played in every game last season. Keep in mind, Collaros likely would have been lost regardless of the Manziel side of things. The move also sheds salary for the Tiger-Cats, who likely would have lost Collaros in free agency. However, the move is certainly indicative of a Money Manziel age approaching in the CFL, and people have taken notice. Never liked Manziel but if this actually happens, I can see myself tuning into some cfl this year. Id be interested to see how he fares. 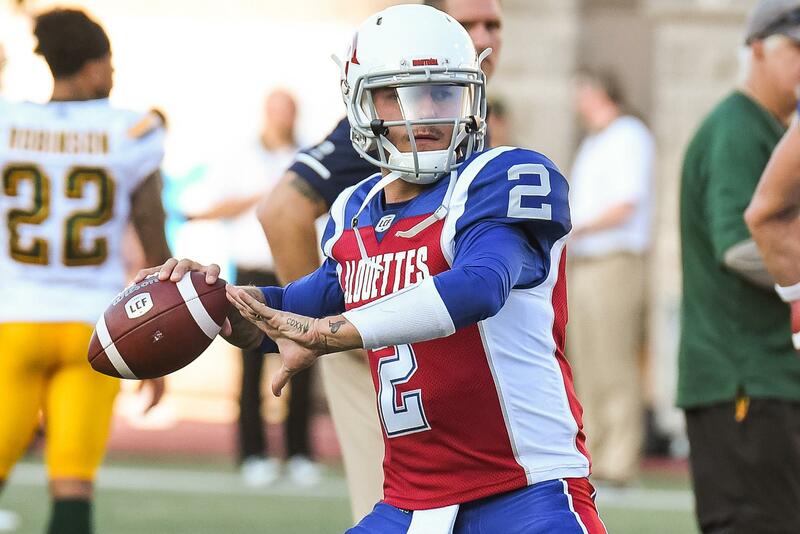 2 - After 6 weeks on the bench without playing a down, Hamilton traded Manziel to the Montreal Alouettes just this week as part of a package deal. Montreal is in last place, so Manziel should feel right at home. Manziel, 25, never saw the field for Hamilton, which has been led by quarterback Jeremiah Masoli. Masoli tied a CFL record with nine straight 300-yard passing games before the team's Week 5 bye. Manziel will play for first-year Alouettes coach Mike Sherman, who recruited him to Texas A&M in 2011 as the Aggies' head coach. Manziel redshirted in 2011 and went on to win the Heisman Trophy the following season under new coach Kevin Sumlin. You have to laugh that this guy stole $7.7 mil from the Browns. Only 25 years old too! Manziel has been kicked out of the CFL.